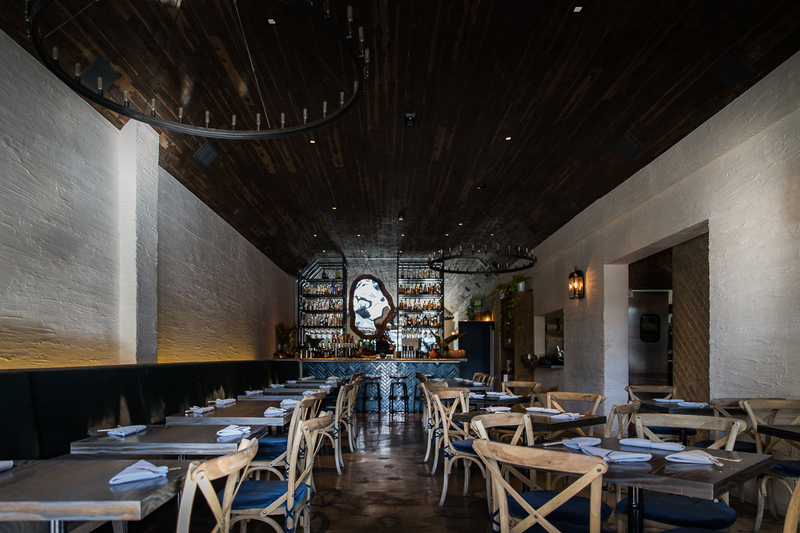 If you haven't been to Chef Marcel Vigneron's restaurant on Melrose, you should highly consider making a reservation soon. 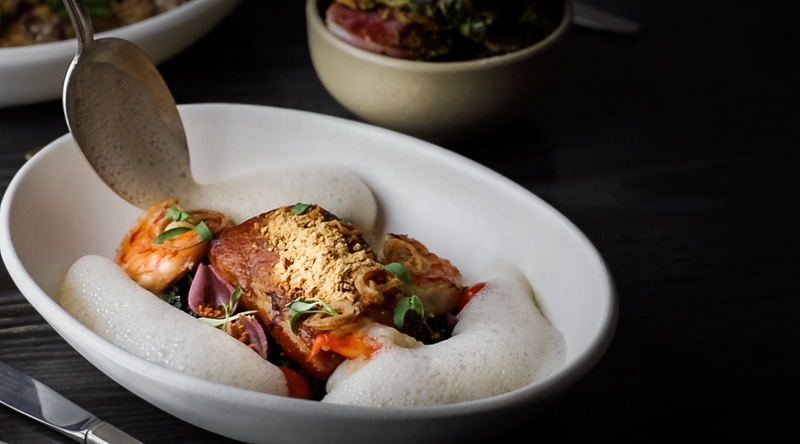 Wolf embodies an intimate space with a contemporary yet rustic vibe serving innovative Californian cuisine. 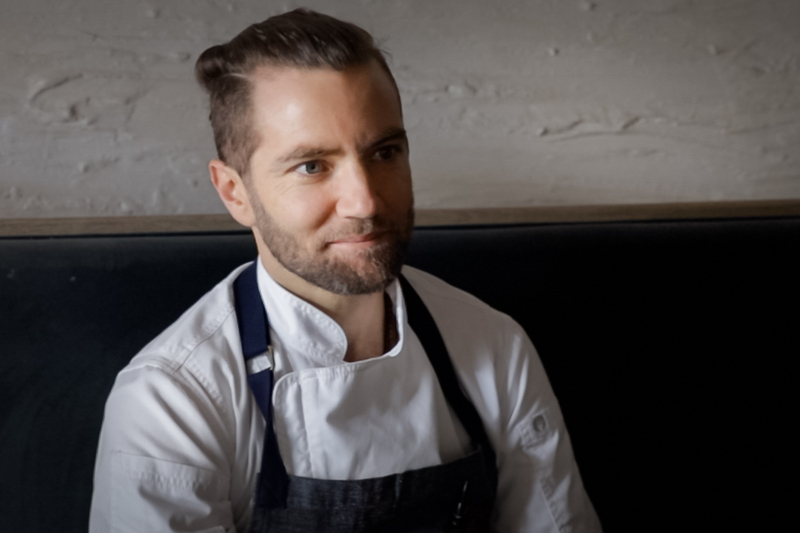 Chef Marcel prides himself in having a menu driven by seasonal ingredients sourced at local farmers markets. 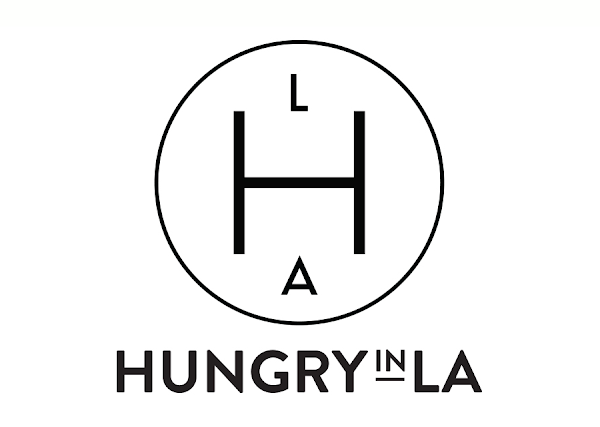 His passion for cuisine is influenced by his extensive travels as well as LA's diverse culinary culture. Yes, we pride ourselves for our exciting restaurant scene in LA. 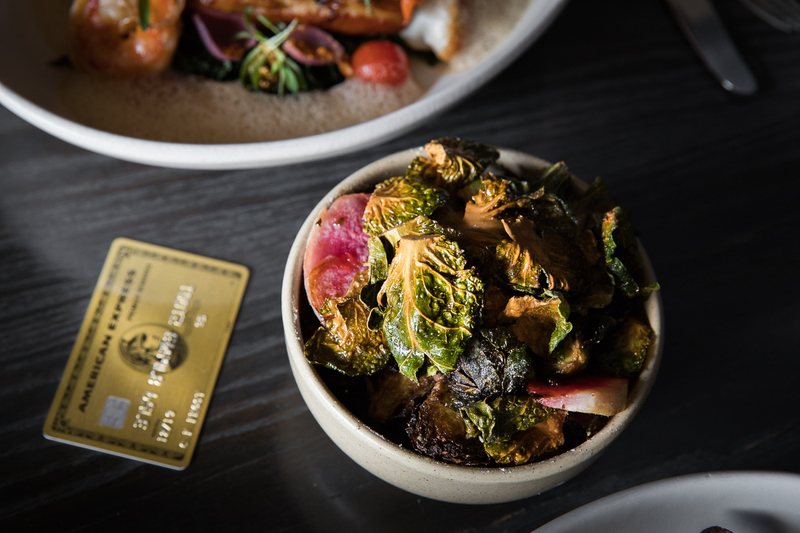 If you're a foodie like me, you'll want to know that with the American Express Gold Card, you earn 2X Membership Rewards Points at U.S. restaurants (terms apply). That means twice the points and twice the fun while dining at your favorite places! Thanks to the Premier Rewards Gold Card from American Express, I had the opportunity to hang out with Chef Marcel in his kitchen as he showed me how he makes his famous Mushroom Risotto and Pork Belly Tom Kha. It was an incredible experience. We talked about how he started cooking, his favorite burger in LA, and which taco truck you should be hitting up. You can eavesdrop on our conversation below. 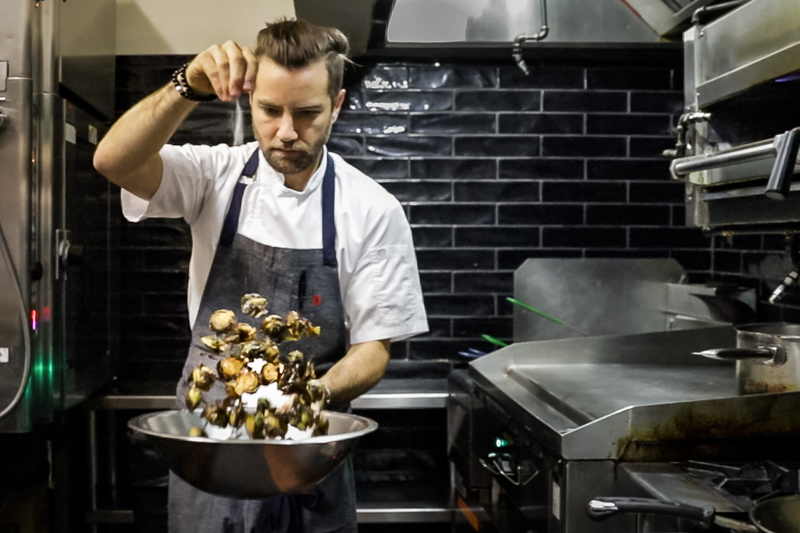 Chef Marcel Vigneron putting the finishing touches on those famous Brussels Sprouts. When did you become interested in cooking? I didn't decide to become a chef until a little bit later in life. I cooked all throughout high school, but it was more so kind of a job than a career. After I graduated high school, I really had no idea what I wanted to do with the rest of my life, and I took a trip to Europe to kind of do some soul searching. I backpacked through Italy, Spain, Greece, France, for about three or four months. It was at that time that I came to the progressive realization that I was already doing what I wanted to be doing, and I just needed to pursue it wholeheartedly. I would say my first trip to Europe was really kind of the biggest impacting factor on what made me decide to become a chef. How did the concept of Wolf come about? The concept of Wolf came about when I decided to open up my own restaurant, and I was like, "Okay, I'm going to this." Then, "What is a restaurant essentially?" A restaurant's a team. Then also where did my cooking come from? It came originally from my mother, so my mother's maiden name is Gaelic for wolf. It's Felan. I thought, to pay an homage to my mom, what better name to call it than wolf? But also to just pay respect to restaurants in general because they are teams, and I consider us to be like the wolf pack. There's that old saying that the strength of the pack is the wolf and the strength of the wolf is the pack. It's like the same could be said for a restaurant. You're only as strong as your team, so we're just building a strong team and I wanted to instill that in the team here at Wolf. That was a huge inspiration for me. What are your two favorite dishes on the menu right now? I would say the Pork Belly Tom Kha is one of my all-time favorite dishes on the menu right now. Just seeing the evolution of the dish and the progression of it, I'm just so happy with where that dish is right now, and the way that we cook it, and everything from cracking open the fresh Thai coconuts, to infusing the nuoc cham with lemongrass. The nuoc cham has the acidity and the saltiness from the fish sauce and the lime juice, and it's just a really, really nice balance of modern, traditional techniques, but also light and heavy, coming together, so that's probably one of my favorites right now. Then I'd say my other favorite dish right now, a staple on the Wolf menu, is Let the Beet Drop. It's got the Jackson Pollock beet puree with the yuzu and then the meringues and the beet jerky, and just the berries and the plums. It's basically a nice showcase of what we're able to do here. 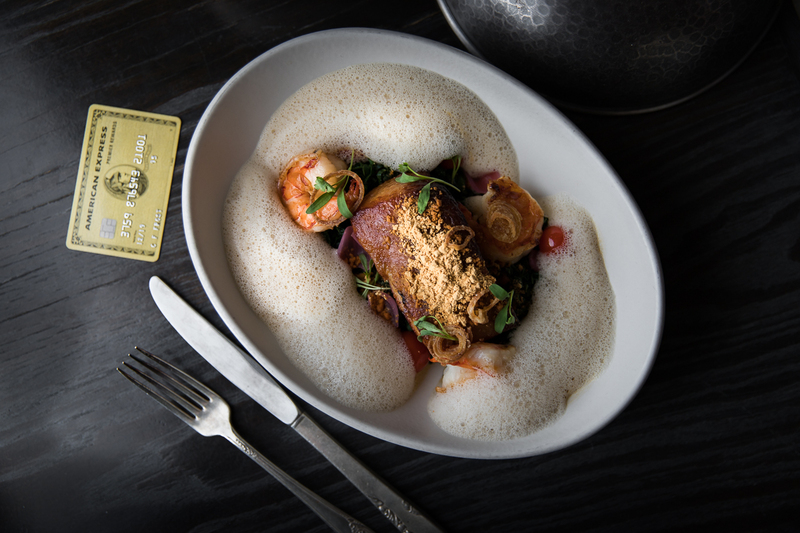 You've got pickles, but then you also have liquid nitrogen meringues, you've got goat cheese snow. It's like plays on classics with beets and goat cheese, but then it's just in a fun sort of new, interactive manner. Where do you find your inspiration for creating new dishes? I draw inspiration from pretty much anywhere/ everything. It can be going out and dining. 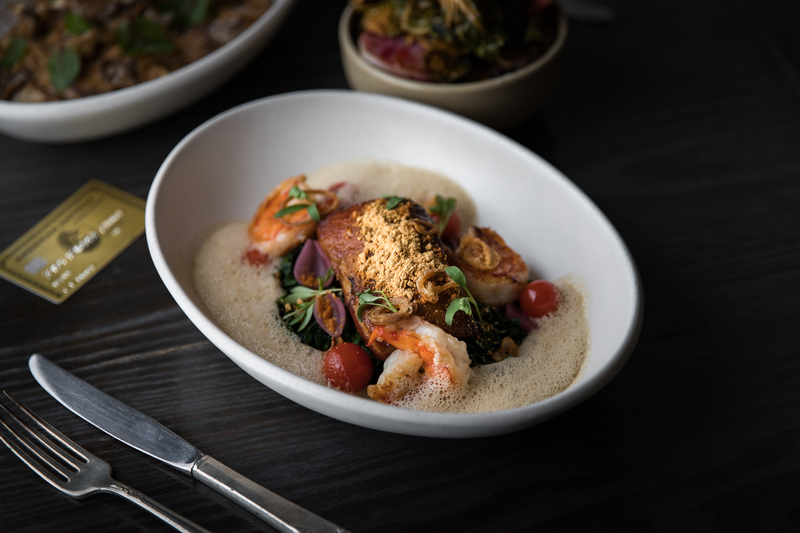 It could be at one of the most impressive three-Michelin-star restaurants, or it could be a taco truck, or it could be some little late-night Thai Town extravaganza. Then it could also be from dining experiences, but also ingredients, so going to the farmer's market and shopping, and seeing what's in season, and just talking to your food and just being like, "Okay, the pomegranates or the persimmons," or whatever it is, and just being conscious and present with the seasons and with the ingredients, and seeing what they have to offer, but then also how they want to interact together is a huge culinary muse for me. Aside from the 10K burger on your menu, what's your favorite burger in LA? I'm a huge burger guy. The 10K came back when Blais battled me to a burger battle on Top Chef and I made that burger, and Wolfgang had the burger, and he was like, "Marcel, you could be the new burger guy." I won the competition with that burger, and so I thought what better burger to put on our menu? But my favorite burger in LA is probably "The Morning After" at Stout Burger. Yeah, it's a good one. I'm a sucker when you put an egg on a burger, you know what I mean? I love a good egg on a burger. What are two favorite dishes you could eat every day? Favorite two dishes I could eat every day? Tacos. I love Mexican food. I could eat tacos all day, every day. Then the other dish that I feel like I could eat every day is sushi. Japanese food, I love sushi, you know what I mean? Tacos and sushi. Is there a particular taco place or taco truck you go to? There is, yeah, yeah. El Chato, I don't know if you've ever been there. Just the chef there, she's the quintessential taco truck lady, and she's got the Gucci glasses and a beanie on and she's just like throwing down on the plancha. She's like my spirit animal. El Chato, I would say, is our go-to taco joint. Who's your favorite dinner companion, if you had to choose? That's a tossup. I'm going to go with my general manager, Matthias. We go out to restaurants and stuff like that and to be able to just riff off of somebody and be able to notice and just pick everything up because it's like when we go out to a nice restaurant, I have the capability of turning it off and just being like, "Oh, let me get some food." But when I really want to analyze something, he's great because we'll pick up on the details in the service, and every little facet of the gem, and to somebody who's dining with another sort of elevated hospitality industry professional, and to be able to like, "Oh, this would work at Wolf," or, "This wouldn't work at Wolf," or, "Oh, I really like what they did here." To just be engaged, I would have to go with my GM. For me, continuing to do what we're doing, and just making sure that Wolf and Beefsteak is creating phenomenal experience for people. But I think Wolf is ready for a little bit of expansion. We're thinking about picking it up and taking it on the road, and doing another one, and just kind of creating a little wolf pack of Wolves all across the country. 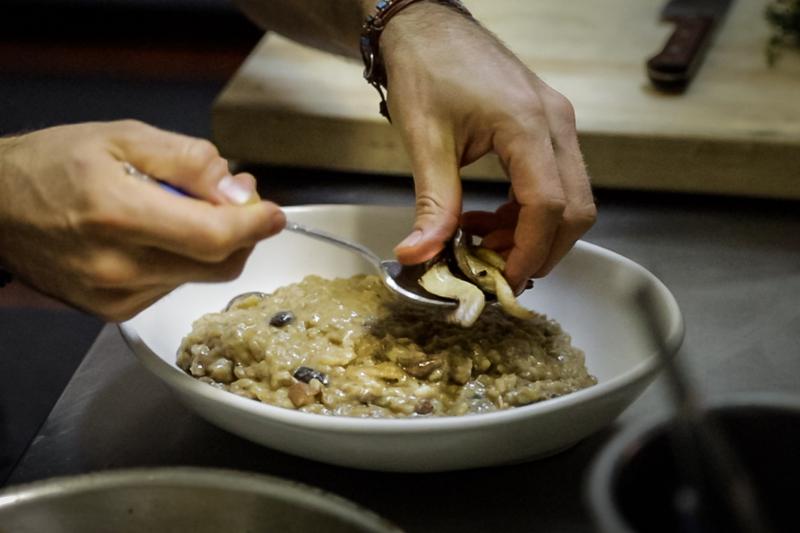 Plating the mushroom risotto like a delicate work of art. Brussels sprouts with fish caramel, watermelon radish, and lime. black kale, cherry tomato, pickled onion, and coriander.